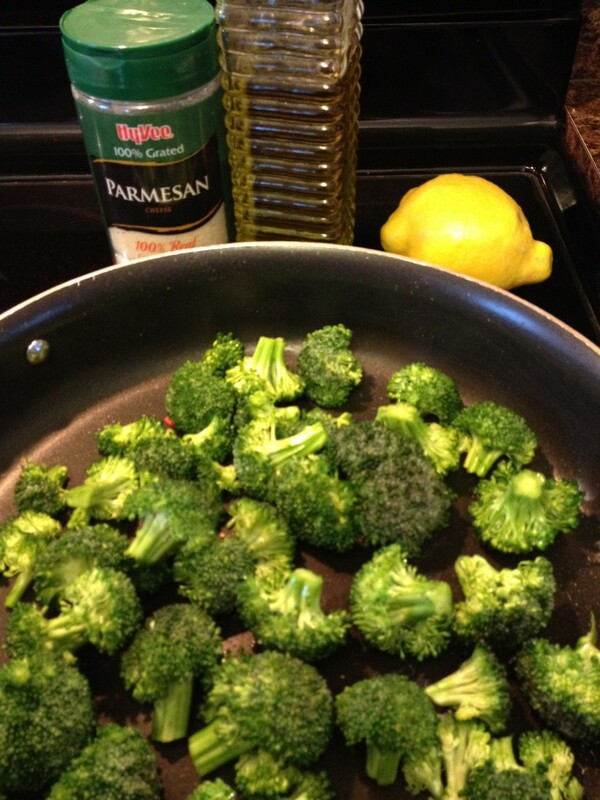 Get your kids to LOVE broccoli: Lemon Parmesan Broccoli | This RD Eats! As a mother of two young kids (ages 4 and 2.5) I am often asked if my kids eat vegetables and if so, how do I get them to eat them (without complaining). The quick answer to that is “Yes, my kids eat vegetables because that is what we eat”. Now, I would be lying if I said that they always eat every bite of their vegetables without complaining, but in comparison to many kids their age, they are light years ahead in the vegetable (and fruit) department. How do I accomplis this? What is my magic trick? Do I puree up vegetables and sneak them into foods? Do I brainwash my children? Do I force-feed them? No, No and No! Really, it is simple. Are you ready for my secret? I serve fruits and vegetables for every meal. Tah-Dah! There, you have it folks, the secret to getting your kids to eat fruits and vegetales is to make them available. Now, there are a few other points I would like to make. In order to have vegetables and fruits at every meal, you have to have them on hand, so planning ahead and making sure to add them to your cart is key. If it isn’t there, they can’t eat it. Meaning, if you don’t have fruits and vegetables available in the house, it is impossible to eat them. So the first step is to make sure you have plenty of fruits and vegetables on hand. Add them to your cart. Once you get the vegetables in your home, you need to make them available. You need to serve them. Now, this is where you, as the parent, can get creative. Try to mix it up. Don’t always serve your vegetables raw or always cook up frozen vegetables. Do try new recipes and ingredients. I know that it is all too easy to pull out that steamer bag of frozen peas, pop it in the microwave and in a matter of a few minutes, you have vegetables. This is great if your family loves frozen peas, but if they don’t, try something new. Give fruits and vegetables fun names (broccoli as “dinosaur trees”, peas as “power pellets”, zucchini strips as “worms”). It is all in the marketing. Make it fun. I know a lot of parents who are great at buying and serving fruits and vegetables to their kids and still are wondering why their little ones are not gobbling up the produce-goodness. My response is always “Do you eat your vegetables?” Kids are smart, they notice if you are serving them broccoli and zucchini, but your plate is lacking. To get your kids to eat their vegetables, be a good role model. We teach our children to count, talk, walk and read. Why don’t we teach our children to eat great foods? Be an example. So, after my son and daughter both asked for seconds of lastnight’s Lemon Parmesan Broccoli and fought over the last piece, I thought I would share my recipe. To get your kids to eat their vegetables, make them taste good! 1. Drizzle olive oil in a large skillet. Preheat the skillet over medium-high heat. 2. 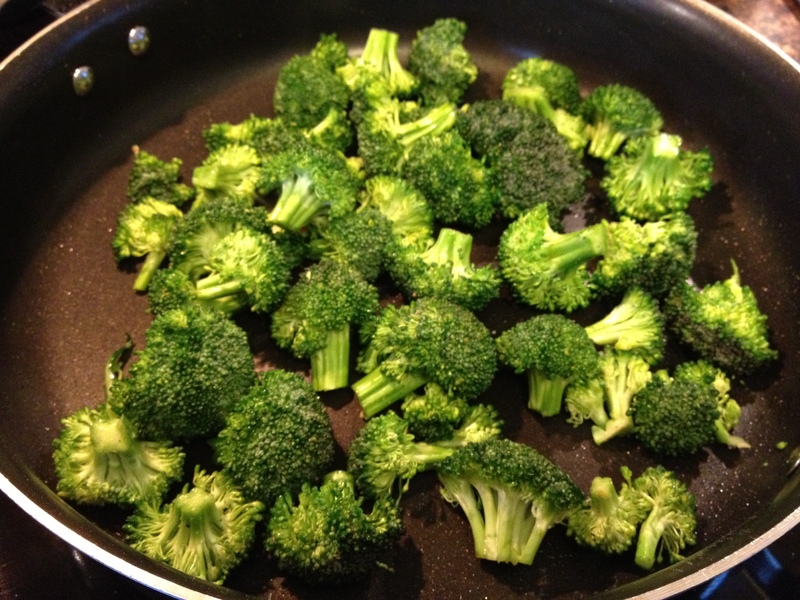 Add brocolli to the skillet. Sprinkle with salt and pepper. 4. Roast for 5-7 minutes until the bottoms are golden brown. Flip to brown the top sides. 5. 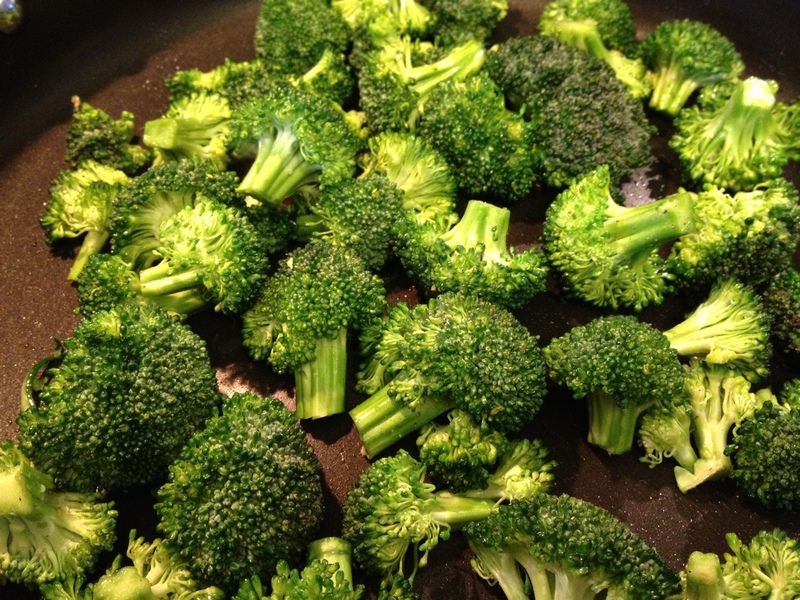 Immediately squeeze the lemon juice over the broccoli and sprinkle with cheese. Let cook until the juice evaporates (up to 1 minute). 6. Remove from the skillet and eat. 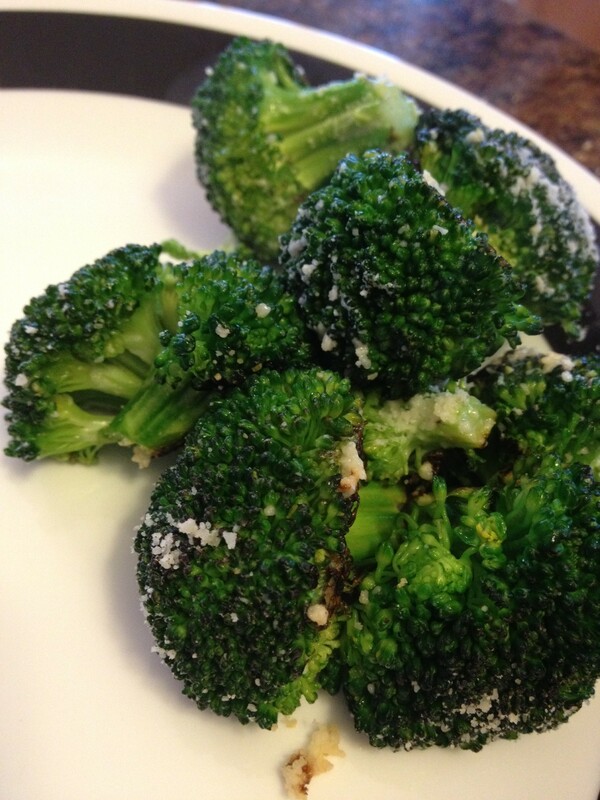 This entry was posted in Recipes and tagged Broccoli, Lemon Parmesan Broccoli, Picky Eaters, vegetables. Bookmark the permalink. Pingback: 8 Skin-protecting Foods to Keep your Family Safe | This RD Eats! Pingback: Tuscan Lacinato Kale Salad | This RD Eats!